Our Transportation Division primarily provides transportation services for base oil and bitumen, and chemical. 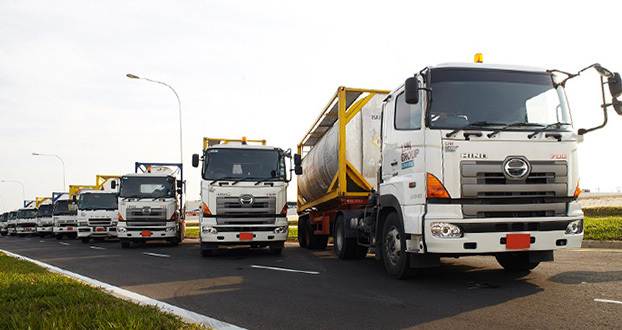 We have a fleet of well-maintained prime movers, trailers, oil tankers, ISO tankers and trucks to handle the transportation of different types of oil, oil-related and petro-chemical products, as well as trucking of containers. To ensure smooth and safe transportation services for our customer’s container and cargoes, we have implemented safety measures, which include setting up of in-vehicle safety installations, such as fire extinguishers, fire shield, spill kits and first aid box, conducting random breathalyser test on our drivers. Our own emergency response vehicle is also on standby in case of accident or breakdowns. Our drivers are provided regular training on safety issues and we conduct regular vehicle and equipment inspections. 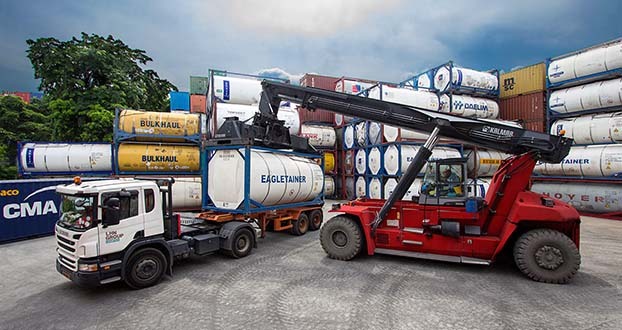 To position ourselves as a one-stop service provider in the container industry, our Container Depot Management Division provides a wide range of container depot management services such as container handling and storage, container surveying, container cleaning, and container repair and maintenance services. We principally service major shipping lines and container leasing companies. 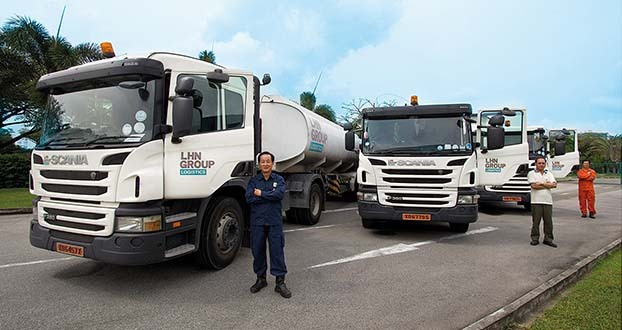 We manage a container depot in Singapore and to better service our customers, we set up a second container depot in Laem Chabang, Thailand in 2015. We provide our customers fast turnaround for their containers with the support of our dedicated and experienced workforce and automated container management system where we have set up a highly efficient information flow for our customers by providing them global access & automated Electronic Data Interchange functionality to our system.